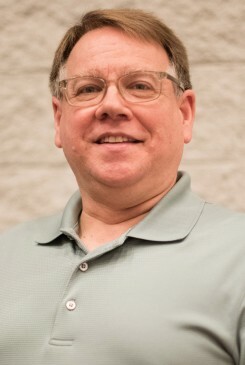 Jonathan Noffsinger is the woodwind area coordinator and professor of saxophone and jazz studies at The University of Alabama. He received his DMA from Michigan State University, his MM from Louisiana State University, and his BME from Murray State University. He was a student of James Forger and Jean-Marie Londeix. He won the gold medal in saxophone performance at the National Conservatory in Bordeaux, France and first prize in the Fischoff National Chamber Music Competition. He has performed throughout the U.S., Europe, and Japan as a soloist and clinician and recorded on the label Sunrise Studies (Japan). Before joining the UA faculty in 1993, Noffsinger was a faculty member at Eastern Illinois University and Albion College.